PCAT Test Prep (2019) -What is the PCAT? Although some don’t need it, most pharmacy schools/colleges require that prospective students successfully complete the Pharmacy College Admission Test (PCAT) to be considered for admission into that institution. PCAT is a computer-based standardized test that assesses your abilities in writing, biology, chemistry, critical reading, and quantitative reasoning. There is a total of 192 multiple-choice questions, and one writing prompt. The total test time is 3 hours and 40 minutes. There is also a 15-minute break (not included in the total testing time) built-in to this exam. Under certain circumstances, special accommodations are available. To be eligible, individuals must meet conditions approved by the Americans with Disabilities Act 1990 and ADA Amendments Act 2008. This request must be made in writing and approved prior to the day of the exam. A HIPAA Consent Form and valid letter from a medical professional describing the need for the special accommodation must be submitted. What topics are covered on the exam? What percentage of questions are there for each topic? A prompt will be given. This prompt will present a problem in the area of health, science, social issues, cultural issues, or political issues. 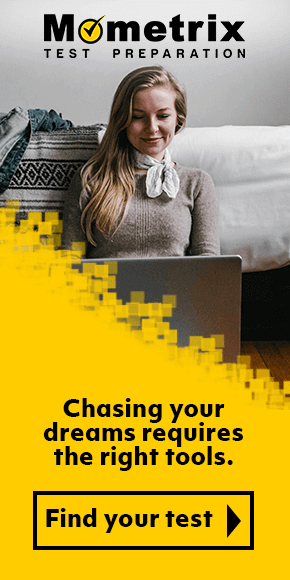 You are required to write an essay, offering a solution to that problem. You will be given 30 minutes to write your essay. You will have 45 minutes to complete 48 multiple-choice questions. For this portion of the exam, you will have 45 minutes to answer 48 multiple-choice questions. 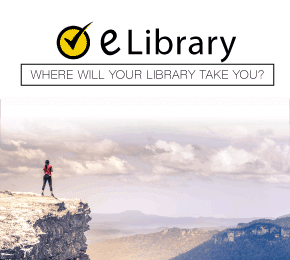 With the critical reading section of the exam, you will be given several reading passages, with sets of multiple-choice questions associated with them. You are allotted 50 minutes to complete 48 questions. The passages address a variety of issues, such as historical, social, and political, as they relate to science, social science, and humanities. With quantitative reasoning, you will have 50 minutes to answer 48 multiple-choice questions. 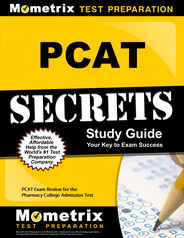 Great PCAT Test Prep Tips! Using a credit card from a United States bank, register online. If you are not able to register online, you may mail your documentation and payment. The registration cost of the PCAT Exam is $210. You will need your PCAT ID in order to register, so be sure to have it handy. There are specific dates in which you can register for the exam for various testing windows. See below. You may take the test at one of the many sites in the United States or outside of the country. Arrive at the testing center 30 minutes before your exam is scheduled. This will give you the time needed to sign-in. Make sure you bring two forms of identification. One form of ID must consist of your name, photo, and signature (e.g. passport or driver’s license). Only your name is required for the other form of ID (e.g. major credit card or library card). Some sections of the exam may require the use of a calculator and/or periodic table. These items are incorporated into the exam, so you do not need to bring your own. In fact, you are prohibited from bringing your own. Before leaving the center, you will get an unofficial score report of your multiple-choice items. The writing portion of the exam is scored separately. You will have access to the official score report within five weeks of the closing of the testing window. The official score report will include the multiple-choice items and writing section. Your official score transcript will be sent to the pharmacy schools/colleges you designated. The multiple-choice sections of the exam will be given a raw score, which is based on the number of questions you got correct. That raw score will then be converted to a scaled score range. This range is 200-600. The writing section is given a score of 1-6, by two different raters. The average will then be taken from these two scores. The pharmacy schools to which you applied can tell you whether or not you passed, according to their standards. You are allowed to take the PCAT five times. If you have not passed the exam by the fifth attempt, you must request permission in writing to re-take the exam. When you submit this request, be sure your documentation includes your name and PCAT ID. Being fully prepared for PCAT is an undertaking that you do not have to do completely by yourself. Mometrix wants to help! What is on the PCAT test? The PCAT exam tests your knowledge of math, verbal, reading comprehension, writing skills, and critical thinking skills. There are 192 multiple-choice questions separated into five sections along with one writing topic. What is considered a good score on the PCAT? The PCAT is scored on a scale ranging from 200 to 600. The median score is 400 with 430 being within the 90th percentile. How long is the PCAT score good for? Your PCAT scores are kept on file for 6 years from the date of completing your exam. Are you allowed to use a calculator on the PCAT? Unfortunately, you are not allowed to use a calculator on the PCAT exam. However, you may use scratch paper if needed. How long does it take to get results from the PCAT? You will receive your PCAT scores within 5 weeks of taking the exam. Mometrix Academy is a completely free resource provided by Mometrix Test Preparation. If you find benefit from our efforts here, check out our premium quality PCAT study guide to take your studying to the next level. Just click the study guide link below. Your purchase also helps us make even more great, free content for test-takers.